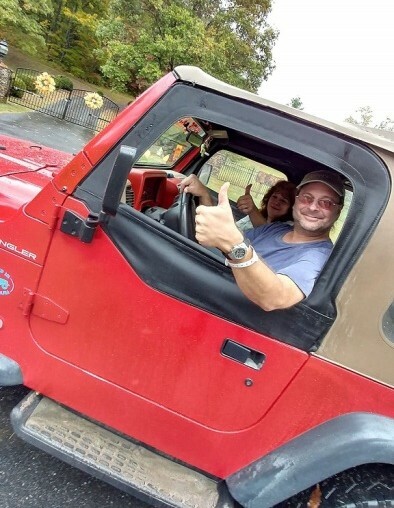 Patrick Richer, 50, died February 4, 2019 due to a heart attack at his home in Franklin, NC. He was born November, 1968 in Burlington, VT to Robert and Lise (Houle) Richer. Patrick was a loving father, brother, and friend to many. He was preceded in death by his special friend Barbie-Dae Aziel. He is survived by his father Robert Richer (and wife, Marilyn) of So. Burlington, VT., his mother Lise Richer of So. Burlington, VT., sister Karen Lepuschenko (and husband, Walter) of Fairfax, VT., his daughter Natasha Richer of Harmony, FL., her brothers Donald Forestner of Clermont, FL and Daniel Forestner of St. Cloud, FL., girlfriend Victoria Mollica of Franklin, NC., and close friends Juanita Dowdle of Franklin, NC., Peter Zunino of Long Island, NY., Dustin Buchanan of Fairfax, VT., and many, many more. Vermont Technical College and Southwestern Community College in NC. Patrick was a gifted and talented artist who could draw anything and everything with such attention to detail. His favorite medium was pen & ink. He had a passion for music and spent many days drawing or singing and listening to his favorite bands. He loved creating cozy moments with ambience & good food. Patrick enjoyed being in nature and spending time on the water fishing. He was a member of the Naked in North Carolina Jeep Club and spoke highly about his friends & adventures. He enjoyed volunteering for the Marine Toys for Tots program. Patrick had a big heart and was very giving of himself. He loved to share a conversation and those who knew him will never forget the sound of his laughter. There will be an opportunity to pay your respects at the Bryant-Grant Funeral Home on Monday, February 18th, from 1:00pm until 3:00pm. Patrick’s life will also be celebrated in VT at a gathering by family & friends with details forthcoming. In lieu of flowers, please consider donating to your local Marine Toys for Tots Foundation, your local Animal Rescue Center or Humane Society. Bryant-Grant Funeral Home is serving the Richer family. Online condolences can be made at www.bryantgrantfuneralhome.com.